Hi everyone!! Today starts our new September release. 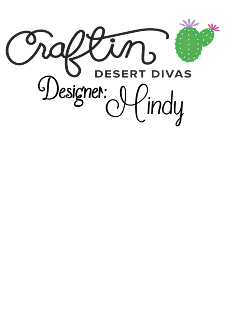 We have a September Release Event on Facebook that we will be sharing all of our sneak peeks. We also have giveaways on the event page. So be sure to join us HERE. 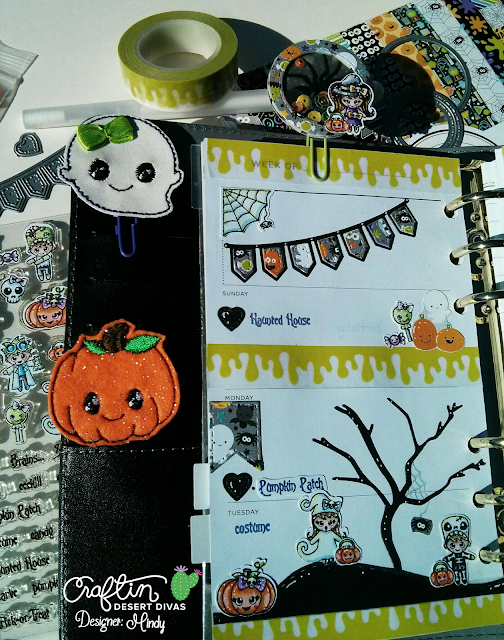 Today I want to share with you a planner spread and planner shaker dashboard I made using our New Boo Crew Bundle! To create my shaker dashboard first I took a sheet of the Doodlebug paper pad included in the bundle and trimmed it down to fit my personal planner. I then used the largest of the crazy stitched frame dies to add the stitching around my dashboard. I then cut off a 1/2" strip on the left side and saved it to be able to punch the holes, but still have it match up perfectly with the rest of the shaker. 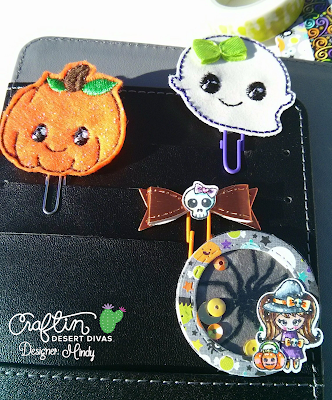 Next I used some of the Doodlebug washi tape from the Boo Crew Bundle to trim the top and the bottom of my dashboard. After that I used my fuse tool and created a 1/2" pocket for the small strip. Next I placed the rest of the matching paper inside the second pocket I created and filled it with some of the new Fall Harvest Sequins, and then finished sealing my shaker dashboard with the fuse tool. 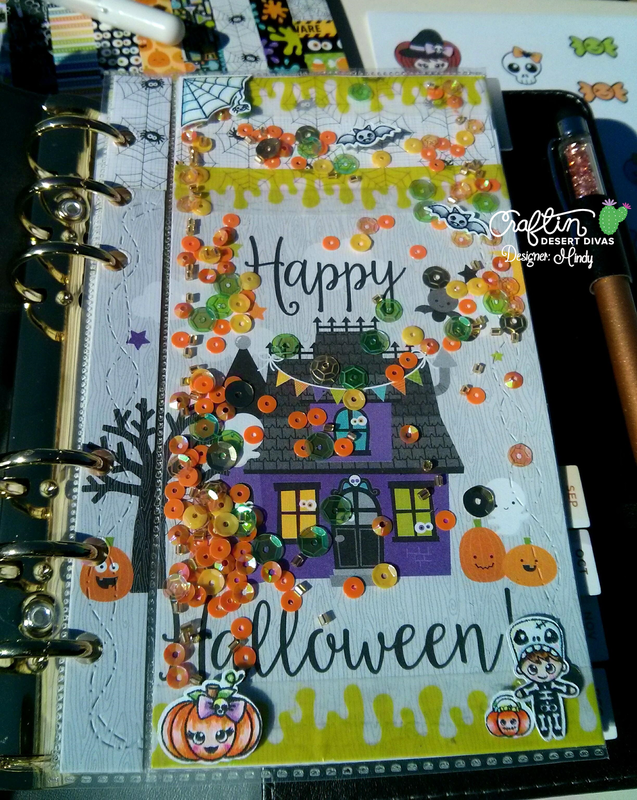 After that I used a hole punch over the 1/2" decorative strip of paper so that it would fit perfectly inside my planner. Next I cut the svg outlines for the Boo Crew stamps from plain white 110 lb. card stock and then stamped the images onto them. After that I colored in all of the images with Copic markers, and then used my sticker maker machine to attach them to the front of my dashboard. 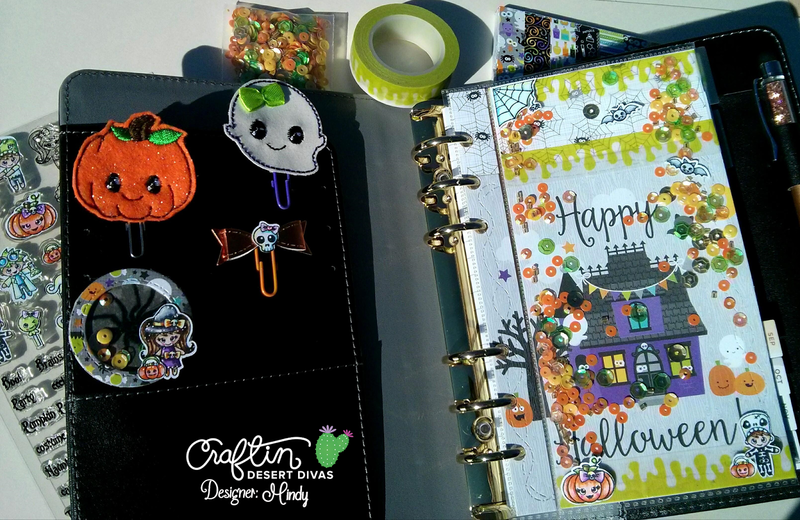 Next for the planner clips I used the bow die from the Shaker Tag Dies and the skull from the Boo Crew set to create the sweet bow. Then for the mini shaker clip I used the Mini Shaker Clip Dies, Doodlebug paper from the Boo Crew Bundle, the little witch stamp from the new Boo Crew stamp set, and the new Fall Harvest Sequins. 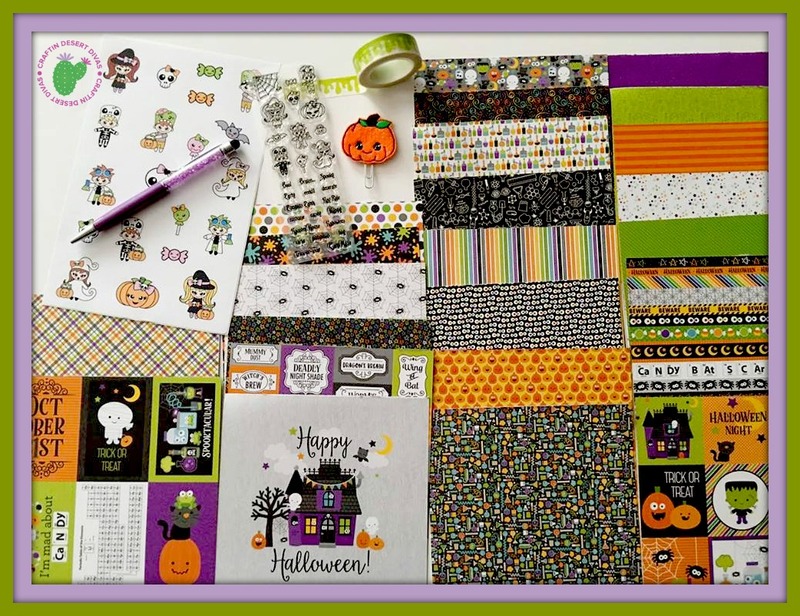 Lastly the little Ghost and Pumpkin clips are from the new Boo Crew Bundle in which each bundle will randomly receive either a ghost or a pumpkin. Next to create my planner spread I used many of the contents from the new Boo Crew Bundle. 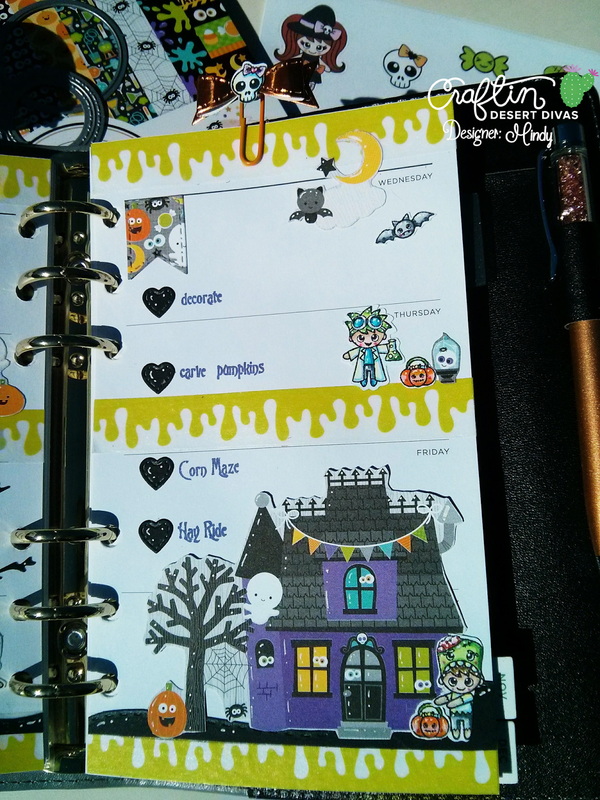 First I cut out the little haunted house from the Doodlebug paper pad and attached it to my planner. I then used the Doodlebug washi tape from the bundle to accent the top and bottom of my planner pages. 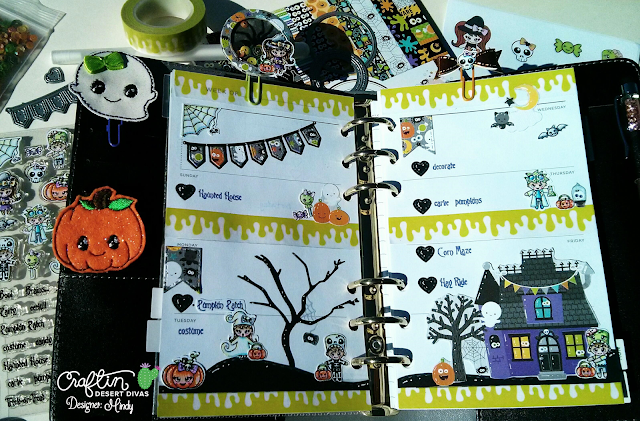 After that I added the Cute little trick or treaters from the Boo Crew Bundle stamp set all along the bottom of my planner spread to create my scene. I cut them out using the svg outlines just like I did on my shaker dashboard. To finish I added little flags to accent certain days using the mini shaker tag dies and cut them from the Doodlebug paper. Make sure you set your alarms for 11 am EST on 9/19 because our Boo Crew Bundles will be added to the shop and they are very limited in quantities. Once they sell out they will not be restocked. Also make sure you follow our Sept. Release Event on Facebook that you can find here: https://www.facebook.com/events/1995513407341761/ There will be a special discount code posted that you can use on the bundle for $5 off and Free US Shipping. 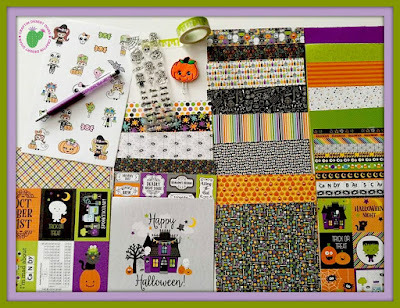 I hope that my project has inspired you to try out your own creations with this Amazing Boo Crew Bundle! 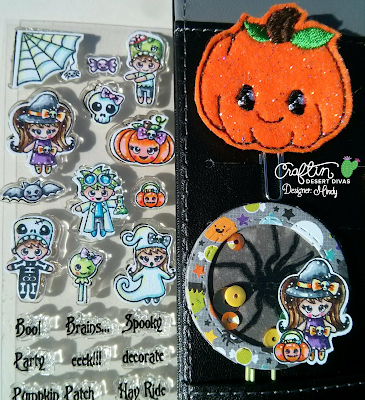 Wow, love Halloween...you really did a teriffic job on your pages...love all the detail in the pages and the super cute clips.